Back in October and November, as the rainy season was drawing to a close, there was a sudden onslaught of Nairobi flies here in Juba, South Sudan. They were everywhere I looked! The skin burns they inflicted on people were easy to spot on people all around town. 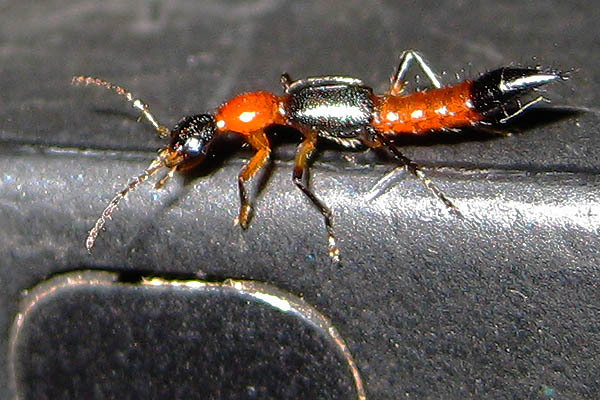 In the haemolymph (what these guys have inside, instead of blood) of these little beetles, is a substance called pederin, which is a vesicant (blister agent). 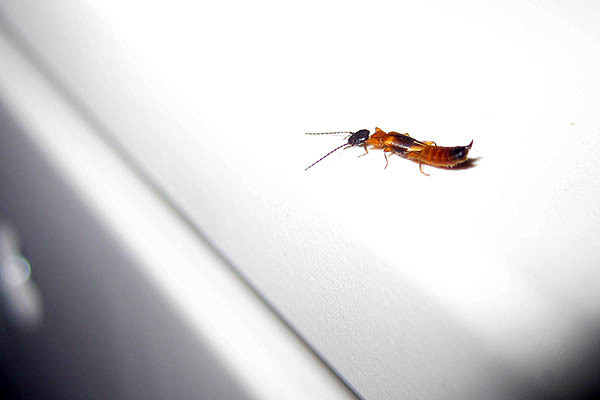 If a Nairobi fly lands on your neck, and you mistake it for a mosquito and try to kill it, you may end up crushing it. The same might happen if a Nairobi fly gets into your bedsheets and you roll over onto it. 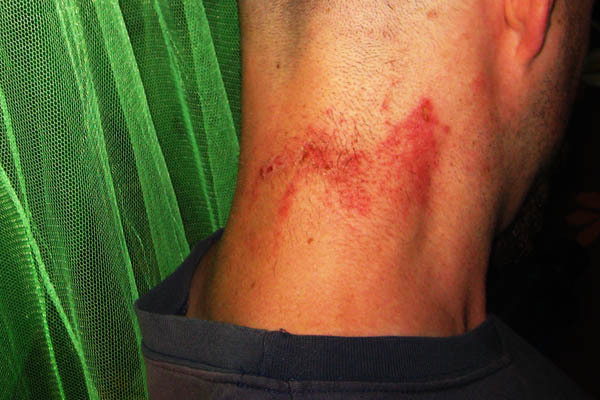 When the beetle’s body is crushed, the pederin comes into contact with your skin and after a few hours blisters begin to form like the ones on my neck in the photo above, from November 6, 2010. 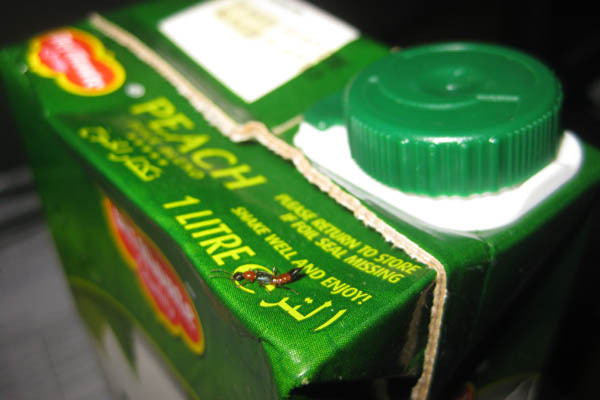 Two weeks later, the skin blisters were gone, and by December I couldn’t see a Nairobi fly anywhere in Juba. They’ll be back, though, I’m sure of that. This entry was posted in Africa, South Sudan and tagged Creature photography, Juba, Nairobi Fly. Awesome post. Hope your burns healed quickly! Cool bug, and very funny way of showing how they’re everywhere. Just killed one, on my pillow. Hate them!